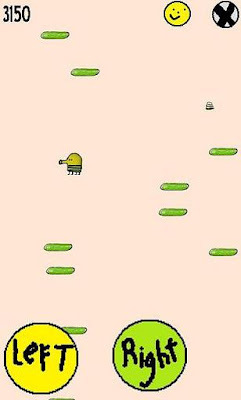 Play the popular Doodle jump game for your WVGA device. Platforms appear and dissapear randomly, try to reach the highest score. Enemy drill randomly appears from the sky.